Being a business owner can be rough. No one ever said it was easy to be a small business owner. We have definitely had our share of rough times. But some days when the stars are aligned and everyone is getting along it can be a lot fun. 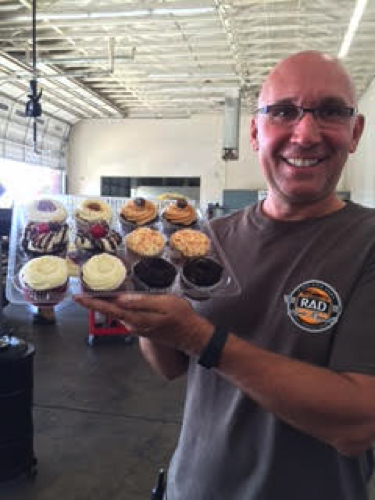 One of our customers dropped by today to give us cupcakes for treating her good and taking care of her car. 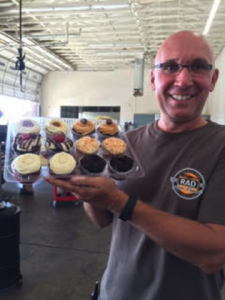 Nothing puts a smile on Rods face faster then a happy and grateful customer. While we were enjoying our cupcakes I noticed all the guys together getting along and I just had to share.